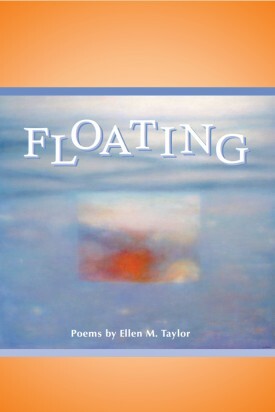 but Ellen Taylor spans the distance in her probing and compassionate poems. Her words reach into the realms of caterpillars and rocking chairs, the Disappeared and the patients in a radiation waiting room. She quotes Einstein -- "Imagination is more important than knowledge" -- and she lives those words in these far-ranging yet always close-to-the-heart poems. FLOATING is a book of poems which floats between the joys and griefs of individual life and those of the greater life of the world. Ellen Taylor's enjoyable poetry is fresh, honest and brave. It never turns its back on sorrow, and yet it is deeply celebratory. Whether she is telling of her days on a Maine hillside or in the barrios of Argentina and Uruguay, Ms. Taylor's work always makes us remember that "...poetry is our shared language, our address, our starlight, our space." a boy with pink cheeks, flanneled and wheelchaired, sleeps. with a heading Defy Middle Age. What is middle age ?